Head: Narrow and long, tapering to nose, with a slight suggestion of stop. Skull – Rather long, almost flat. Eyes – Dark, bright, intelligent, medium in size. Very light eyes are a fault. Ears – Small, fine in texture; thrown back and folded except when alerted, then carried folded at right angles to the head. Erect or button ears severely penalized. Neck is long, slender and gracefully arched. Body is of medium length, short coupled; high at withers, back curved and drooping at hindquarters, the highest point of curve at start of loin, creating a definite tuck-up at flanks. Shoulders – Long and sloping. Chest – Deep and narrow. A true Greyhound in miniature, the elegant Italian Greyhound is an alert, playful, and highly affectionate toy companion. IGs make decorative couch dogs, but at heart they are flash-and-dash coursing hounds with an instinct for pursuit. 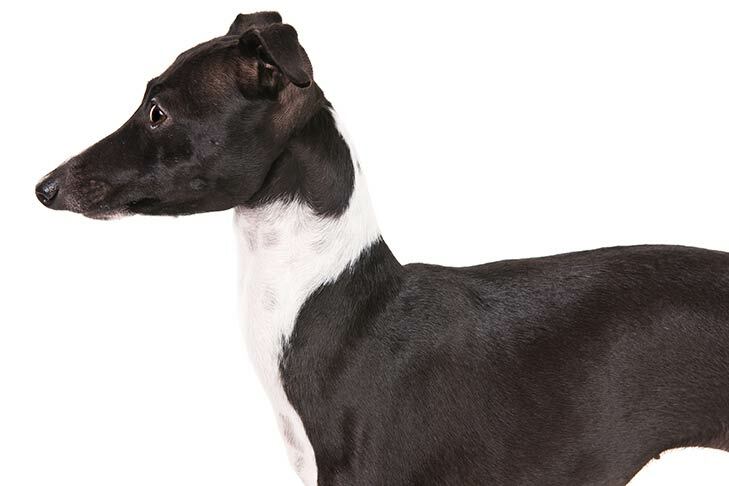 IGs are Greyhounds in miniature—more slender, but a Greyhound’s equal in grace and elegance. 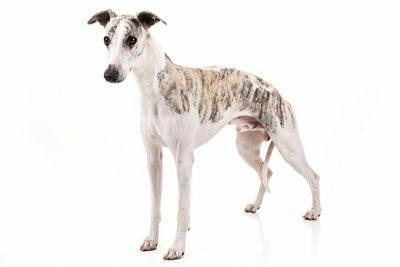 Standing ideally 13 to 15 inches at the shoulder, they present the sleek, curving lines common to all coursing hounds. Distinguishing features are the long, fine-boned legs. 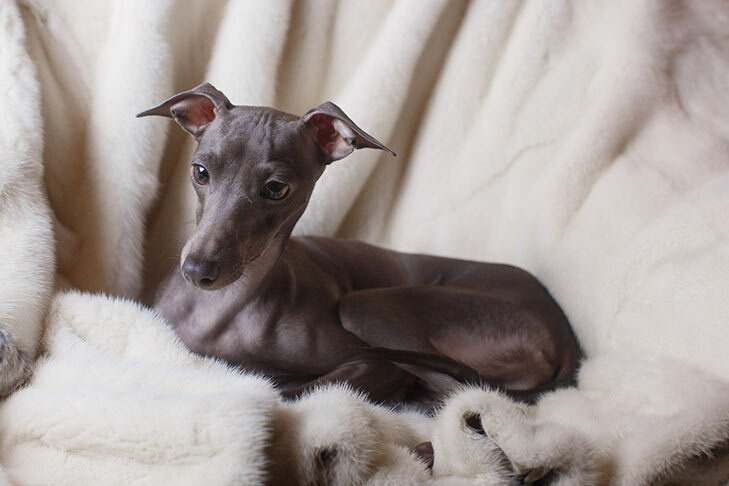 The Italian Greyhound should do well on a high-quality dog food, whether commercially manufactured or home-prepared with your veterinarian’s supervision and approval. Any diet should be appropriate to the dog’s age (puppy, adult, or senior).It’s easy to allow these dogs to become overweight, so watch your dog’s calorie consumption and weight level. Treats can be an important aid in training, but giving too many can cause obesity. On an IG in proper weight, the hip bones should just be seen. Ribs should not be visible but should be able to be felt under a thin covering of flesh. Learn about which human foods are safe for dogs, and which are not. Check with your vet if you have any concerns about your dog’s weight or diet. Clean, fresh water should be available at all times. The most important grooming tip for the Italian Greyhound is that the teeth must be brushed on a regular basis, preferably daily. Dental cleaning by a veterinarian should be done yearly or as needed. Baths are rarely necessary unless the dog has gotten into something that can’t be removed from the very short, smooth coat by gentle brushing. The nails need regular attention, preferably with a grinding tool. They should not be shortened all the way to the quick. This breed has a hare foot, and the two middle nails can be left slightly longer than the other two. IGs are an active breed and need regular exercise. For the most part, playtime will be sufficient for this, especially if there is more than one dog. Walks on lead are appreciated. Dog parks can be a hazard unless well supervised and having separate areas for small dogs. 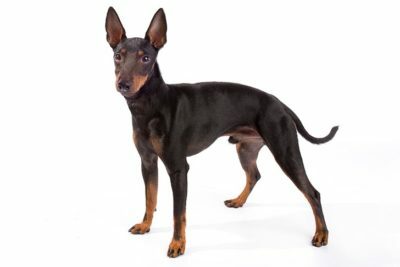 Even obedience-trained IGs should not be allowed off lead outdoors in unfenced areas, since small, moving animals are a huge incentive to run, possibly into danger. This breed responds best to reward-based training methods rather than punishment. The trainer should be firm with commands and lavish with praise. Treats used as a reward should be small but immediate when the command is learned and followed. Professional dog trainers should be chosen carefully. Harsh methods just don’t work with these intelligent, sensitive little dogs, even though they can be stubborn. Italian Greyhounds are generally long lived, with a normal lifespan of 13 to 15 years. Responsible breeders screen for health conditions such as PRA, autoimmune problems, Legg-Calve-Perthes disease and hypothyroidism. Although the IG is not as delicate as he looks, care must be take to avoid hazardous situations that might result in a broken leg. Extensive information about breed health can be found on the website of the Italian Greyhound Club of America. Despite a delicate appearance, Italian Greyhounds are swift, hardy hounds who have survived the upheavals of two millennia. Archaeological evidence suggests that IGs were bred as noble companions some 2,000 years ago in the region that is now Greece and Turkey, when the mighty Roman Empire held sway in the Mediterranean. The miniature Greyhound was a popular companion, and perhaps a small-game hunter, throughout southern Europe in the days of the Empire, but the breed came into its own in Renaissance Italy, where owning miniature versions of popular breeds was a status symbol among aristocrats and wealthy strivers. IGs can be seen in the paintings of various Renaissance masters, embodying the grace and balance so important to the era’s aesthetics. IGs found their way onto many of the noblest laps in Europe. James I, Frederick the Great, Catherine the Great, Anne of Denmark, and Queen Victoria were among the royals who augmented their majesty with an IG or two by their side. 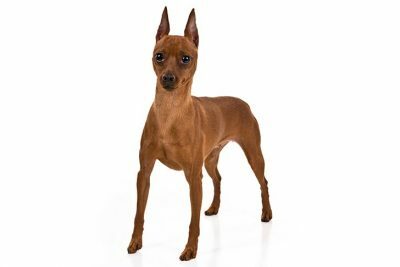 An African king named Lobengula once swapped 200 head of cattle for a single Italian Greyhound. The AKC registered its first IG in 1886. The depredations of the two world wars nearly wiped out many of Europe’s breeds, including the IG. After both conflicts, American breeders, an ocean away from the ravages of war, kept the breed alive and helped repopulate its numbers in peacetime Europe. In modern times IGs do their share of winning in the show ring, and lure coursing gives them a chance to rev up their small but powerful engines. 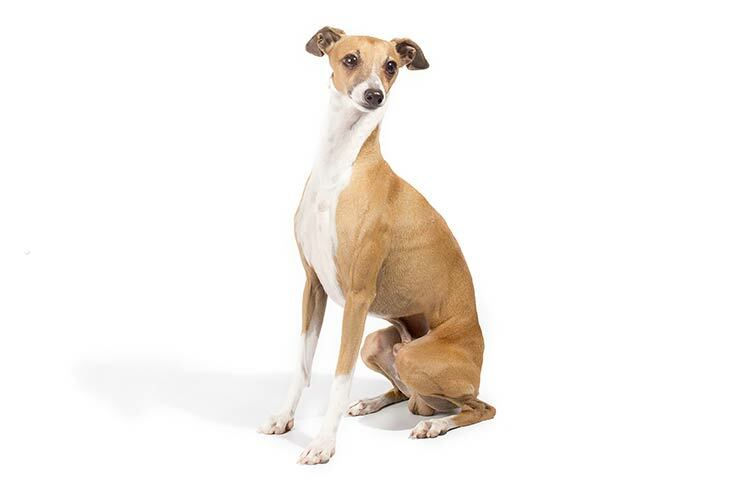 The Italian Greyhound is the smallest of the family of Gazehounds (sighthounds). The Italian Greyhound was a favorite of the Italians of the 16th century with whom miniature dogs were much in demand. Favorite of various royal families, including the consort of England's James I, Anne of Denmark; Mary Beatrice d'Este of Modena, the Italian consort of James II; Frederick the Great of Prussia; Catherine the Great of Russia, and Queen Victoria. The Italian Greyhound is believed to have originated more than 2000 years ago in the Mediterranean basin, possibly in the countries now known as Greece & Turkey. The Italian Greyhound was frequently included in Renaissance paintings by such famed artists as Giotto, Carpaccio, Memling, Van der Weyden, David, and Bosch. The first volume of the English Kennel Club's Stud Book listed 40 of the breed; Volume III of the AKC Stud Book (1886) contains the first Italian Greyhound registration in this country, although it was not until 1950 that as many as 50 were registered in this country.